Q. How do I get the advertised cash discount? A. The advertised “cash discount price” is earned simply by paying for your order with cash, check, money order, or other secured form of check payment. Although we do not recommend sending cash via mail, we do have local customers who buy online and bring cash when picking up their order. Unsecure payments by mail, such as personal or company checks, will delay shipping 5 business days to allow the funds to clear our digital check processing system. Orders paid by money order, or bank check, are immediately approved and updated to “processing” for ASAP shipping. Q. How do I arrange for a local FFL transfer? A. We can add your preferred local FFL to our list by simply having them fax us a copy of their FFL to 302–376-3663. Please communicate with your chosen FFL prior to completing your purchase with us. You will want to ask for their approval of the transfer as well as their transfer fee. Q. I used my debit card to purchase online why did I not get the cash discount? A. Most debit cards are also credit cards. As we do not have the option to accept debit cards and associated personal PIN numbers, your debit/credit card can only be run as a credit. Giving our your debit card personal PIN on even the most secure websites is never a good idea. Q. My new gun looks like it has been fired? A. Many new firearms are test fired at the factory. You may notice residual powder, rotation marks on revolver cylinders, residual cosmoline which sometimes appears to look like rust, etc. All firearms sold as “new” are in fact new in box as received from the manufacturer or distributor and include new manufacturers warranty….no exceptions. Any used, factory recertified, certified pre-owned, show guns, or guns in any other condition than new in box will be clearly marked as such on the website. Q. There is a problem with my order what is the return policy? A. Our return policy allows for item(s) return and your choice of a full refund or replacement item(s). However, we do have a couple simple requirements for processing a return. 1. Firearms – it is solely the customers responsibility to thoroughly inspect the firearm(s) at the Federal Firearm License prior to accepting the transfer. If there is a noticeable defect of any kind to the firearm, or associated case/contents, please simply refuse the transfer and we will arrange to have the firearm returned to us, at our expense, and issue the customer a full refund or replacement firearm if available. If the customer accepts the transfer from the FFL, we can then only refer the customer to the manufacturer for warranty consideration. 2. Accessories – ALL defective accessories must be returned to FedralFirearm.com for refund or replacement. Please contact us and we will immediately arrange for UPS to pick up the defective items and return to us at our expense. Some accessories are shipped factory direct. If you take it upon yourself to return items to the factory, it is very possible that we will not receive credit for those items and therefore will not be able to issue you all items must be returned in original factory packing. Q. What is an FFL? A. A “FFL” is a Federal Firearm License. There are currently over 58,000 FFL holders nationwide. FFL holders are commonly gun stores, pawn shops, and retail sporting goods stores. However, there are also many individuals that hold a FFL. All firearms sold to individuals online must be shipped to a local FFL holder who will then transfer the firearm (via ATF form 4473 and associated background check) to the individual. Q. When will my firearm be shipped? A. All orders are shipped within 3-5 days of ordering. This is necessary to complete appropriate paper work associated with transferring the firearm. Q. Why was my credit card charged and my order still has not shipped? A. Yes !! I am always looking to accept your trade for any new or used gun we have in stock. Just give me a call or email to receive your no hassle trade offer. Q. Will you buy my gun? A. Yes !! we are always looking to make trades and buy guns from people in all 50 states. We will quote a purchase price based upon your verbal description of the gun, and then send you a company check up receipt and inspection of your gun. 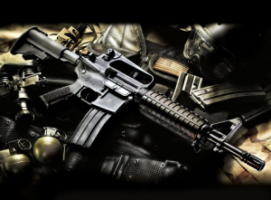 If you prefer to trade for one of our new or used guns, we will be glad to work your trade also.